Something totally different for me today. 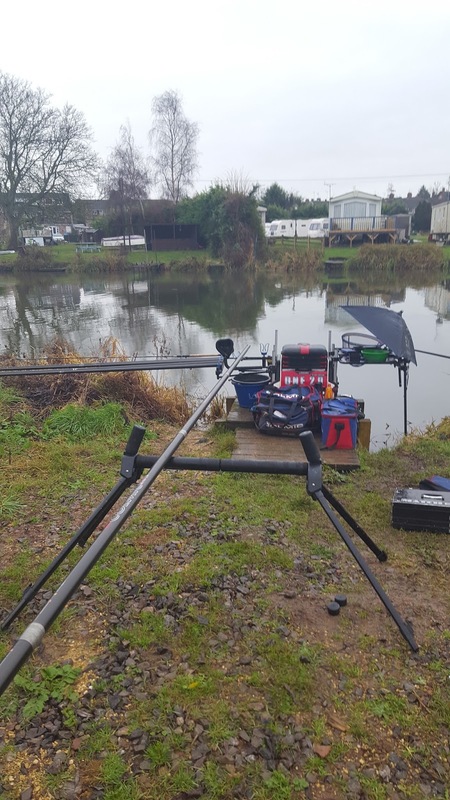 I was asked to stand in for a friend of mine on the Pairs Winter league on the River Avon in evesham. I drew peg 22 on the Common. 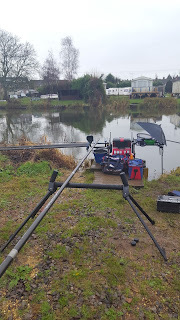 Decided to fish pinkies and grounbait at 14.5m and a groundbait feeder for on the far shelf. 4g. All Jean Francoise floats. 0.11 Colmic F1 spider line to and 0.07 stream hooklength. Size 24 B911. Cupped in 6 balls of groundbait at the start laced with pinkies and casters. Didnt have a bite on the feeder so felt my time was best spent on the pole. Managed 2 little skimmers and some roach all on pinkies. I weighed 1-9-0. Which beat the 2 anglers to my right. And the 2 to my left. The weights got better further to my left. Despite not catching a lot I still enjoyed the day and it was nice to fish a river which I havent fished for well over a year!